It’s called a Trunk Show, but to us, it’s more like opening a treasure chest. 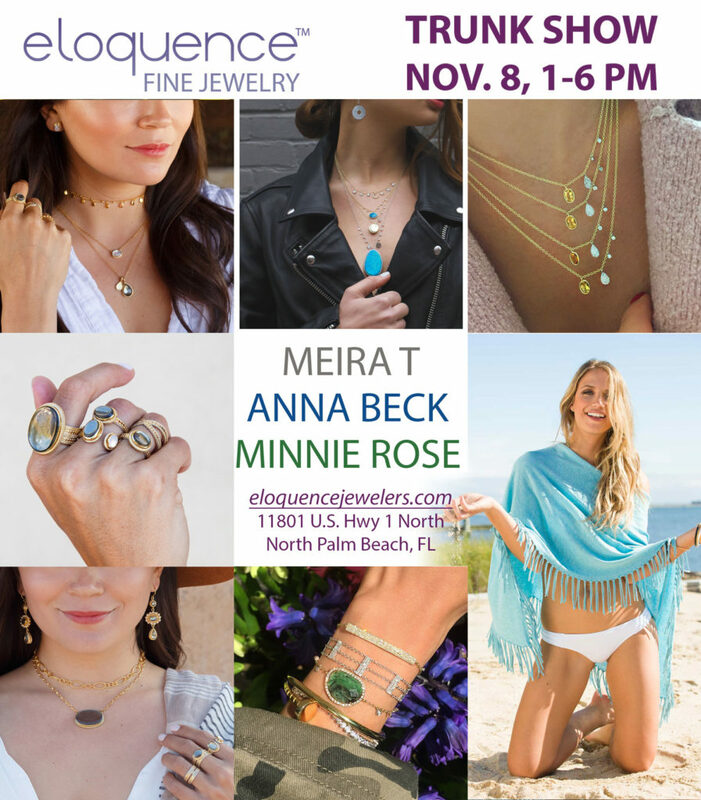 On November 8, as we’ve done for the past 20 years, we invite you to drop by to not only see new lines of jewelry and gifts, but to meet representatives of the various brands! We’re delighted that our annual trunk show has a following of our Eloquence customers who return year after year to get a first glimpse of new products and, in many cases, to be among the first to have an opportunity to purchase them. Some even come to see specific lines that they love, such as Meira T, Minnie Rose, and Anna Beck. The representatives of each company bring along their entire line of new styles and pieces, some of which Eloquence will offer throughout the year, but many more that customers can purchase at the trunk show.So, if you’re a jewelry lover or looking for a special gift, join us for our trunk show on November 8 between 1 and 6 p.m. You may just find that special, unique piece that will be admired every time you wear it. Click here to preview some of our Trunk Show treasures.